This pretty amphibian here, that cheers me every morning when I open up my laptop, is pretty gifted when it comes to gifts and meanings. The other day, after making almost 200 pierogi with my friend Chiara, we went visit her future home. Her dream home. She already lives basically in the woods, but this home is even better. And we were greeted by frogs literally hopping into hiding underwater when we passed. And one also hopped around while I picked flowers. Yeah, I know, soooo sappy, sooo shabby chic. Anyway, when I got home I googled for frogs and their meaning, turns out they are a lucky charm almost everywhere! Since frogs undergo a tremendous amount of transformation from egg to frog, and since they live comfortably both in water and earth, the first symbol of frog is methamorphosys, adaptability, transistion and of course transformation. It’s a lucky charm in those moments in life when you are going through, or you need, big changes. Like teenagehood, going into adulthood, a moving, a change of country, of career, of anything!!! 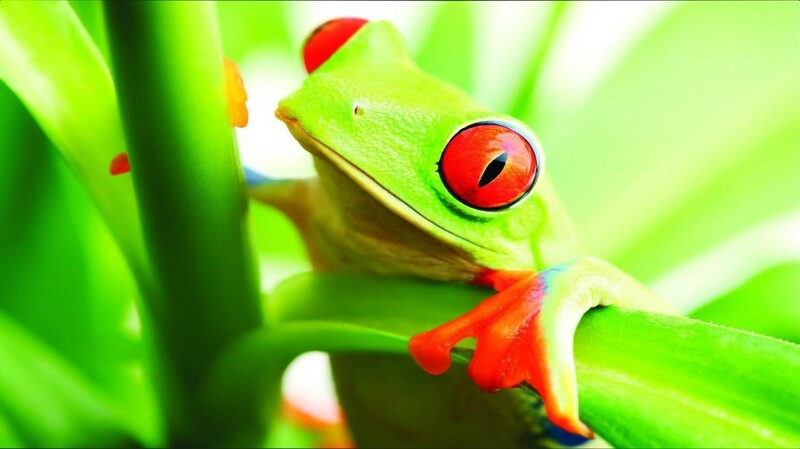 Therefore if there’s change, there’s chance, opportunities to catch, and a frog can be a good intermediary. 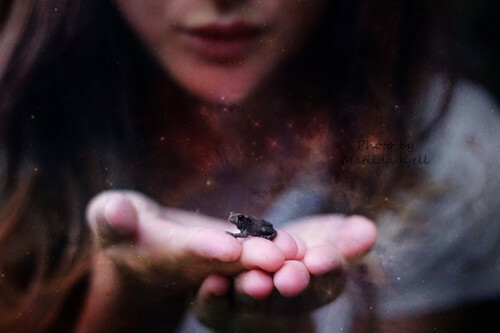 Keeping up with the duality of this animal and its intermediary capabilities we get to shamans: the frog was a spirit guide to them, frogs were thought to be able to guide a shaman from our ordinary world into others, upper, lower, dream world. Of course this parallels connections to the world of the dead, being able to communicate with them, to our most hidden dreams and most hidden power and beauty. All these connective abilities, these communication skills make frogs wonderful lucky charms for languages, translations, connections, social opportunities (most of all if they’re depicted with tongues sticking out), knowledge (wich loops back to shamans etc). Their connection to water leads to another affinity: purification and healing, but also rites of passage: birth, death and rebirth. Birth and water also lead to creativity, prosperity and abundance. To ancient Egyptians the goddess Heket had a frog head, and she was patron of births, prosperity and abundance. A benign goddess. In China the frog is a lucky charm and yet again a connection between the living and the dead. In Japan “kaero” means also “return” which makes for a perfect traveller’s amulet And apparently a little jade frog in the wallet makes for abundance and protects against thefts. The Cajun believed that werewolves (loup-garous) were terribly afraid of frogs, so they kept frogs to protect themselves from werewolves. And to the ancient Christians it was at first a symbol of the Holy Trinity, because of the three stages the frog lives; but then frogs went bad, they were seen as witche’s familiars, therefore purely evil. And as a last thing: frogs are connected to copper. What about you? 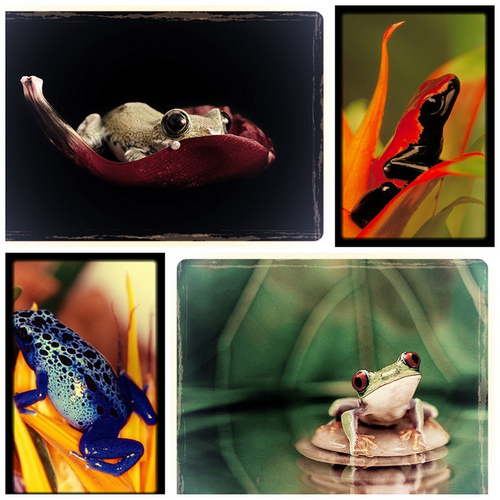 Do you like frogs? Or don’t you? Now that you know more, do you feel like you’d need some of their help? Ciao! !! Ogni tanto mi capita di vederle nel giardino del palazzo dove abito…sono attratta e affascinata da questi piccoli e dolci Amici….quasi sempre mi fermo a fargli le coccole…sembra gradiscono….le parlo anke…e non prendetemi x folle…mi piace comunicare con qualsiasi Esistenza!!! La Tua ricerca è davvero Bella…e Ti Ringrazio col Cuore….poi hai menzionato le Streghe….Bellissimo!!!! sono due giorni che esco di casa la sera e trovo la rana davanti la porta , la prima sera l’ho presa e messa in un ambiente piu’ sicuro visto che vivo in campagna e vicino al fiume brenta quindi su l’erba . La seconda sera me la ritrovo davanti la porta nuovamente ed subito entrata in casa la riprendo e la tengo un po’ in mano per guardarla meglio e poi e’ scappata dalla finestra della cucina , spero che i gatti randagi che ho adottato fuori la finestra della cucina non gli facciano la festa , mi dispiacerebbe . Nel dubbio ho iniziato anch’io a cercare il signifiato della rana, speriamo porti fortuna .. il 2014 – 201 e ‘s tato un periodo davvero difficile. Stavo proprio pensando di prendere una fontana feng shui con il simbolo delle 2 ranocchiette. Sono piccoli e e carinissime. Ora,leggendo meglio la tua ricerca,penso che sia un segno se mi ispirano quelle…. Spero che ne farai altre.